No matter whether you are an adventurer, an explorer, or just enjoy to travel, almost everyone in their life has come up with their own bucket list, either in their head or actually having taken the time to write it down. Unfortunately, many people may find that they are unable to accomplish some of these dreams due to financial constraints. 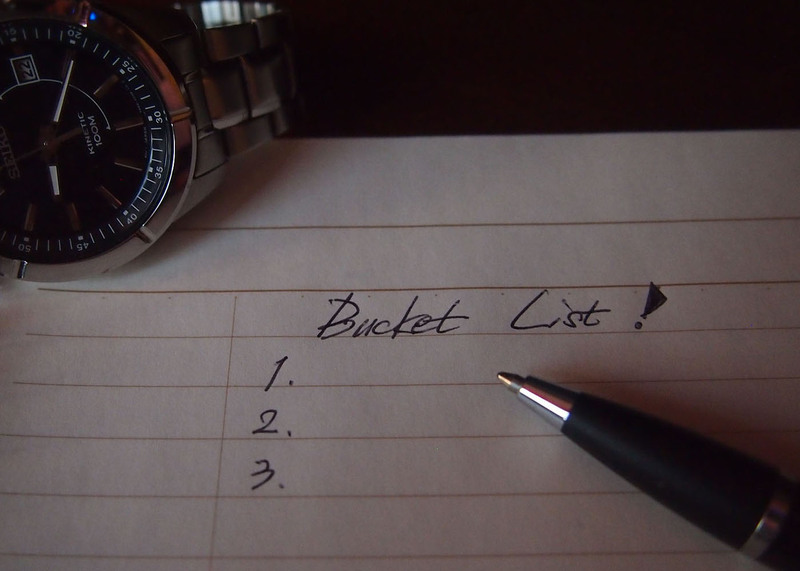 However, if you start planning your bucket list early you may be able to check some items off your bucket list by following the tips below. Retirees often have many great years ahead of them after their retirement, and it is crucial to see retirement as a transition into a new stage of your life instead of just an end to your working days. This mindset is important when it comes to financing your retirement as well. You should not only plan for financial stability to get you through your later years when you will not be bringing in your typical paycheck but also to finance the things you will want to do. Make sure to account for things such as traveling and once in a lifetime events that you plan on taking time to enjoy in your retirement, and you will have those funds set aside specifically for those leisure activities so they will not cause a financial strain on your budget. Knowing some of the big events or things you will want to have on your bucket list well before you retire will help you plan for that event as well as the expenses that may go along with it. The key thing to remember is to not get so bogged down by it that it becomes stressful. Just because you put it on your bucket list in your 30s doesn't mean it is set in stone. But if you have major trips or events that will have a lot of expenses, having that goal to attain will help you put aside the money you will need to achieve that dream. If the dream changes as you get older, its okay to change it, but you can do it knowing you will have the funds to accomplish it. Most people may have a bucket list with a lot of generalized ideas of events they would like to enjoy in their retirement. These could be things like learning to scuba dive, taking a trip through the rainforest, or going on a skydiving adventure. Taking time to research the specifics of where and when you can perform these items will not only help you accomplish your goals but can save you a lot of money just by properly preparing and researching your options. You can look for specific months that have better travel rates or you may find locations where you can find cheaper accommodations but still be able to enjoy the activity. A little planning can go a long way to save money on expensive excursions. Sometimes, if you can't afford an extensive bucket list, it may be important to assess the goals that you really have for that item on the list. For example, if your bucket list goal is to travel through Europe with your whole family, you may realize that what your ultimate goal really is, is to create lasting memories with your family that will remain forever. So if you find out you can't afford a full trip to the best hotels across Europe, readjust your goal to possibly visiting one country or maybe saving on accommodations and taking advantage of the sights. This way you are still accomplishing the ultimate goal you have, maybe just not in the way you envisioned it. Don't let the dreams you want in life pass you by. Try following the tips above to help you be able to accomplish your dreams and begin checking off those items from your bucket list.